Chevron is one of those words that you may only know if you are already knee deep in wedding. The long story is that the chevron design appeared as early as approximately 1800 BC in archaeological recovery of designs on pottery and rock carvings in the modern day country of Greece (source). 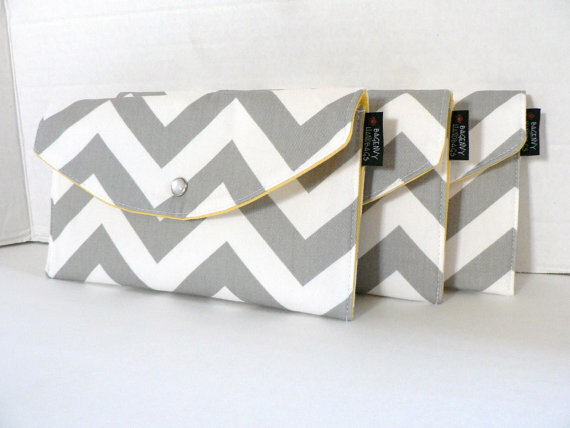 The short version is that chevron is a popular pattern utilized in stationary and decor for today's weddings. If you have fallen in love with this design as much as I have, here are a few ideas of how to incorporate this fun print into your big day. Enjoy! #1. Stationary. Simple and pretty, using chevron for your invitations sets a great tone for what guests can expect at your chic wedding. Continue the theme with menu cards and programs with this pretty design. #2. Decor. 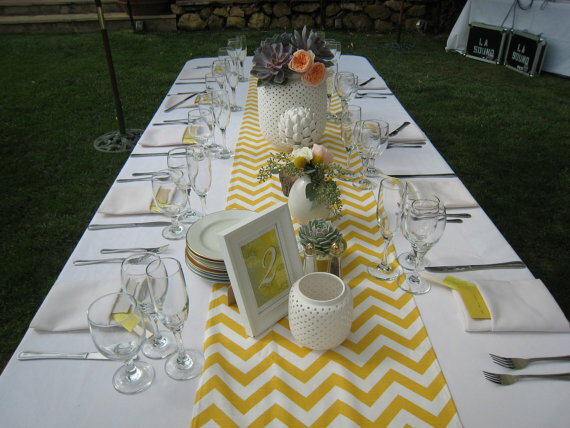 The easiest way to incorporate a print into your wedding is in the decor. 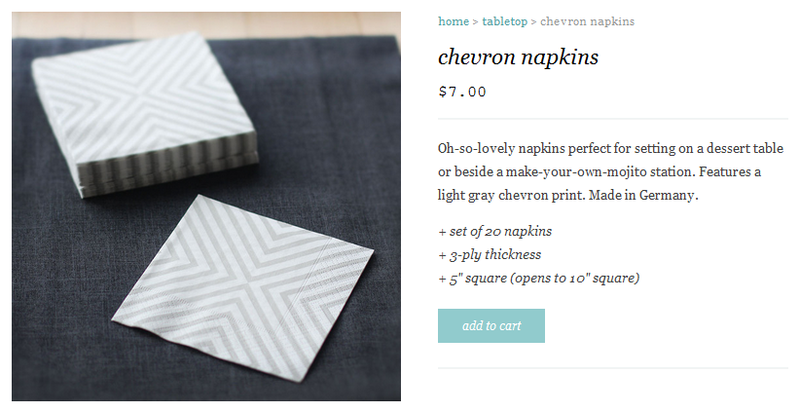 Napkins, utensils and linens are a fun, cheap way to tie in your colors and theme. #3. Attire. The decor isn't the only area that can indulge in this print. Dress up your wedding party with items that they will definitely use again and again. And don't get left out, here's a sassy rehearsal dinner dress for the bride! #4. Spice up your photo backdrop. 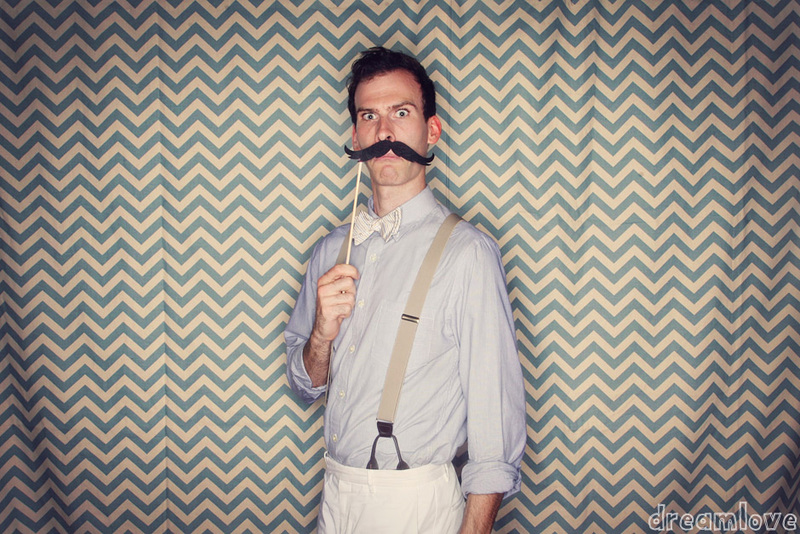 DIY photo booths are the new trend, so easy and carefree. All you need is a space to set up, a stand alone camera with a timer and even add some fun props if you like. #5. Delicious treats can be "chevronized" too! From cake to a dessert bar to candy favor bags, this design has endless possibilities!